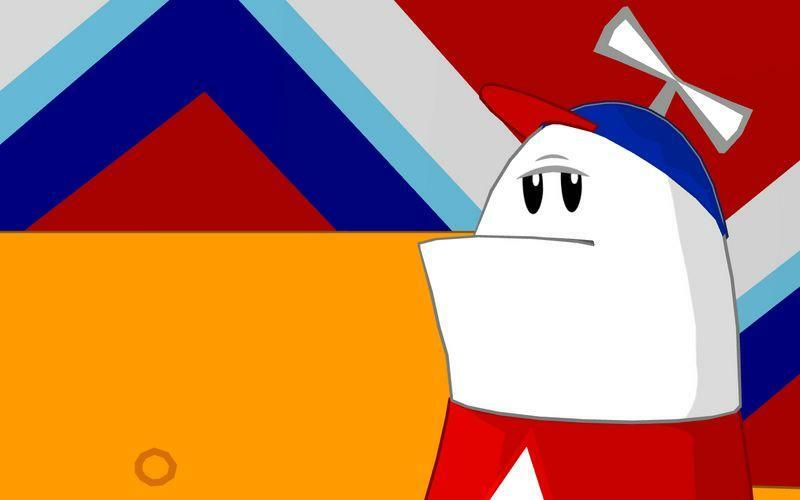 From Homestar Runner’s conception by two University of Georgia students working summer jobs in 1996, to his reception with video game publishers Telltale Games in 2008, Homestar Runner certainly hasn’t come very far in the past twelve years. 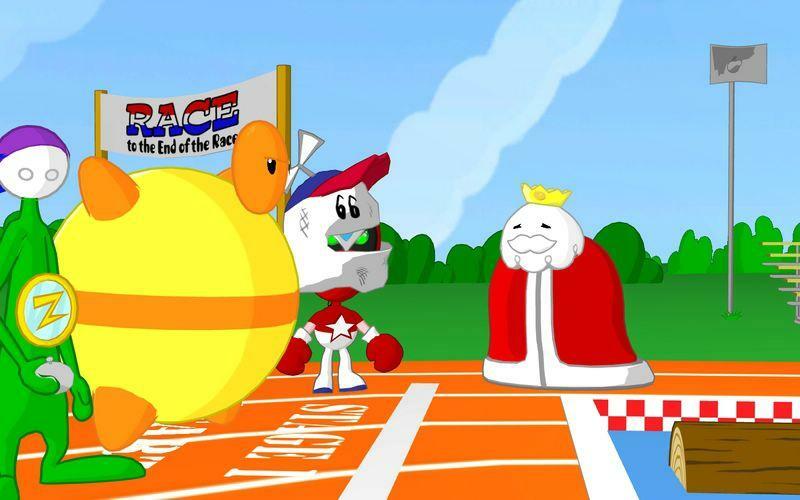 That is to say, going from an episodic internet flash comic to an episodic video game download is such a natural transition as to leave only one question lingering in the air: “What took so long?” Perhaps the pieces have only just now fallen into place, and whatever other trappings of serendipity one may subscribe to, but it’s no doubt that homestarrunner.com has reached a success that’s nearly on par with Penny Arcade. Minus the whole PAX business. 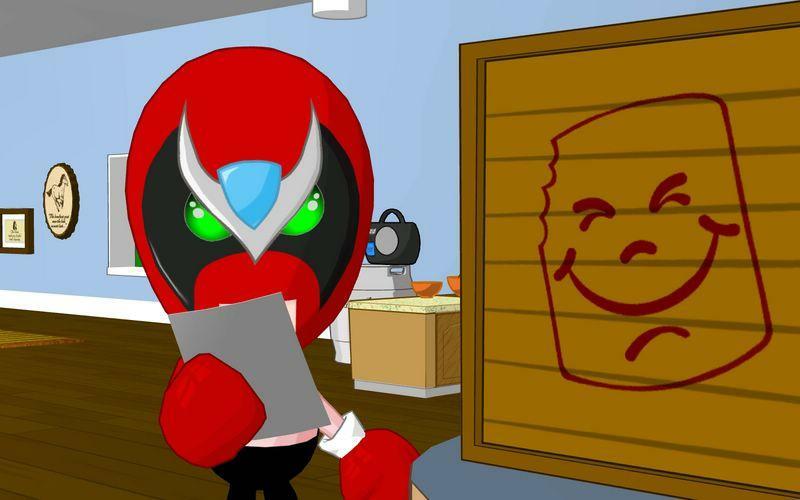 Nonetheless, Mike Chapman and his younger brother Matt (“The Brothers Chaps”) have something to be proud of in their newest venture, Strong Bad’s Cool Game for Attractive People - Episode 1: Homestar Ruiner. 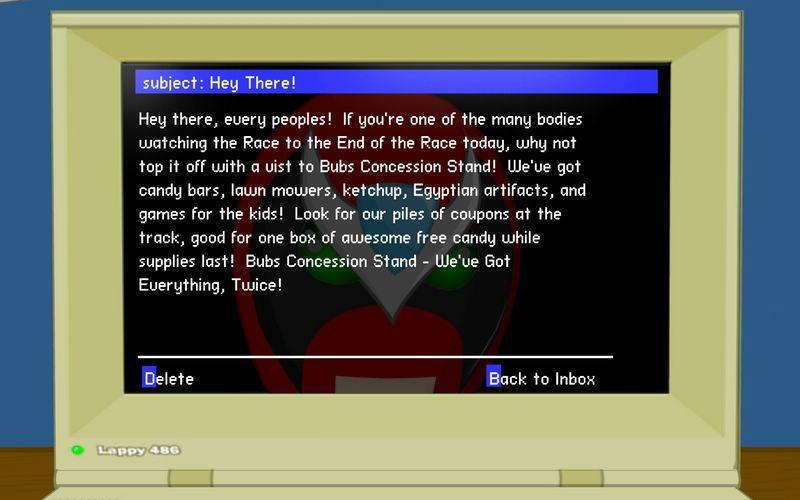 The point-and-click adventure takes Strong Bad from his raggedy-couched basement to a dozen recognizable locations in the webcomic: Bubs’ Stand, the Track, Marzipan’s, Strong Badia, and King of Town Castle; not to mention quirky objects that have accumulated over the years like the Cool Car, the Whale, the Stick, and the Brick Wall. 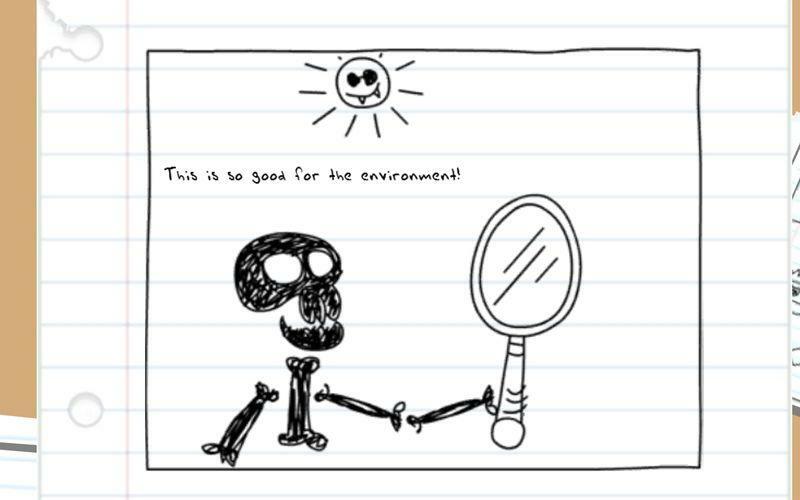 Those all sound completely innocuous on paper, of course, but it’s what Strong Bad does with those objects and locations that spell out the off-kilter humor populating SBCG4AP. And, without spoiling too much, plenty of the webcomics subliminally hint at events transpiring game-wide. 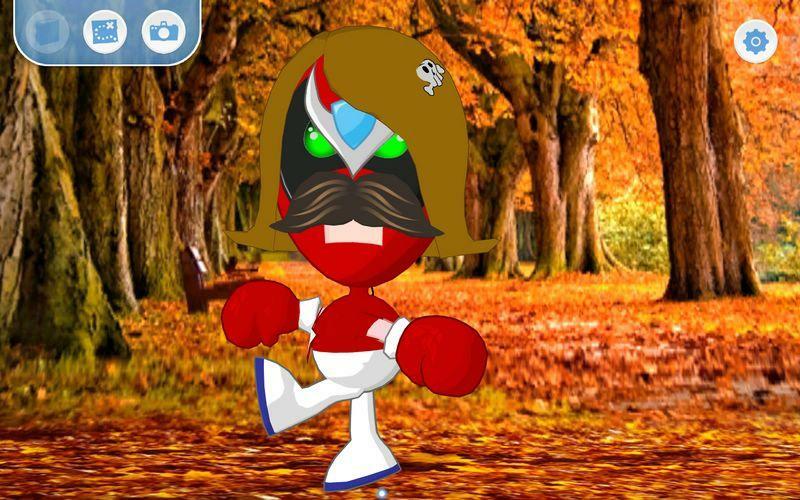 Since Strong Bad can’t help himself, he stirs up plenty raucous during the Race to the End of the Race, but finds himself screaming “Irony!” into the sky as his antics catch up to him in unexpected ways. He then -- still purely motivated by self-interest -- has to find ways to reverse his presumably ill fortune, but he does it in an expectedly Strong Bad way. There’s no morality tale here (unless you’re overreaching), but the story arc, one that I thought wouldn’t emerge as I was laying down my first impressions, made for a surprisingly cohesive adventure. In the rather unpredictable way that a Strong Bad comic can pull off. The gameplay engages different paces throughout, which is a difficult feat to execute the right way in an adventure game. In the beginning, it’s all about opening up the map and -- in an homage to the hand-drawn maps required of old school adventure games -- has Strong Bad penciling in the spots he’ll be repeatedly visiting throughout. The equator of the gameplay circles about the obstacle course race and, believe it or not, a stealth-action segment, which nudges the game into a simplified platformer. 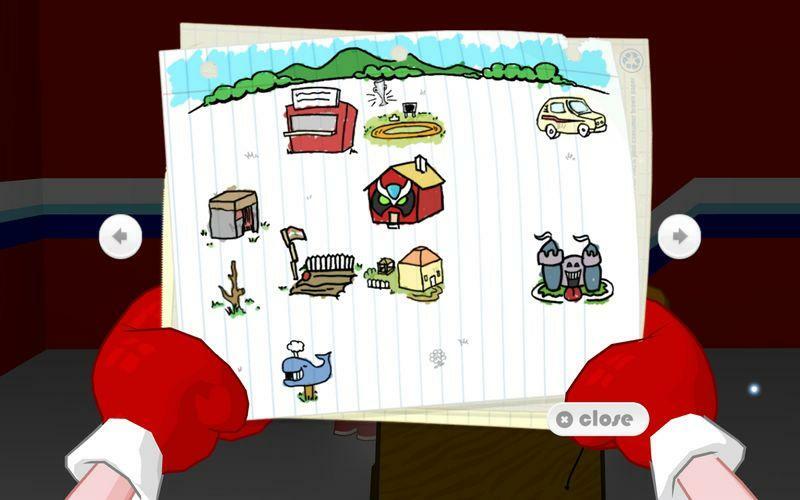 Don’t read too much into that statement: Strong Bad’s Cool Game doesn’t suddenly slip into Super Mario Galaxy land. But it’s a well-timed change of pace that replaces some of the early game’s confused wandering. 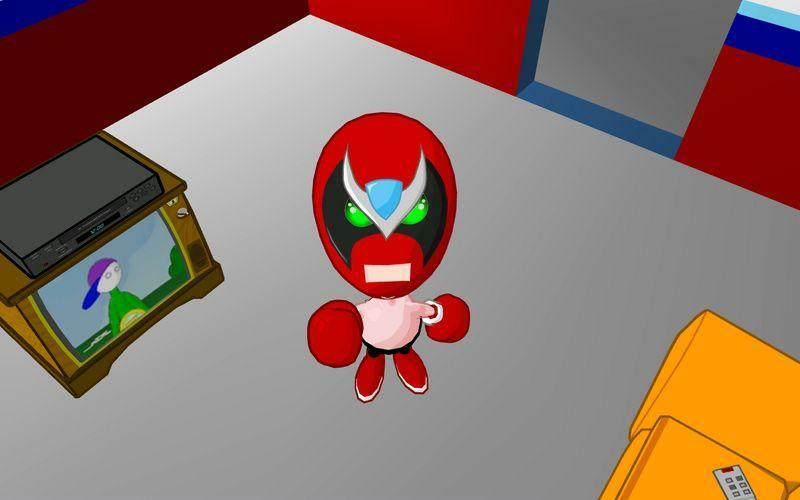 The clues are too obtuse at first, especially if you’re looking for a particular green light to forward the game’s progress, and Strong Bad only tosses out a cookie that points to a vague but already-understood concept in the storyline. The final chapter comes down to heavy interaction with the rest of the cast, where the components are fewer, but a timing-based nature is perpetuated from (if you remember) the stealth action from earlier. There are two places where Strong Bad’s Cool Game doesn’t go, and those two places are often dead ends for adventure games: inventory puzzles and, for a lack of better terms, Myst puzzles (this lever does this, that lever does that). There are moments where maybe two items are required to accomplish a task, but they’re placed in context on the game screen, not shuffled around and jury-rigged inside of the inventory menu itself. Thank you, Telltale Games. Critics and players have been lamenting this outmoded relic of adventure gameplay for years, and too many developers still cling to that painful conceit. 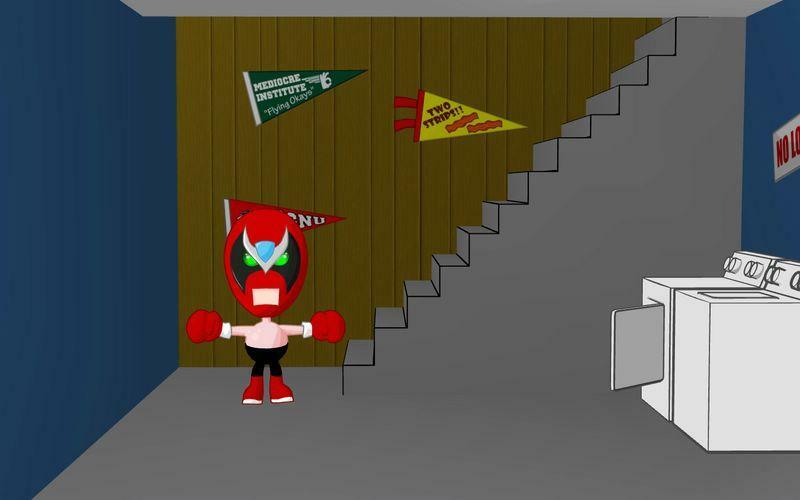 That second place where Strong Bad’s Cool Game doesn’t go -- the puzzle puzzles -- isn’t an outmoded relic, but is often enough where players are sent, head-hung and defeated, to the internet for a walkthrough. Puzzle puzzles are tricky, and not just for players. They’re tricky for developers to implement creatively and meaningfully. 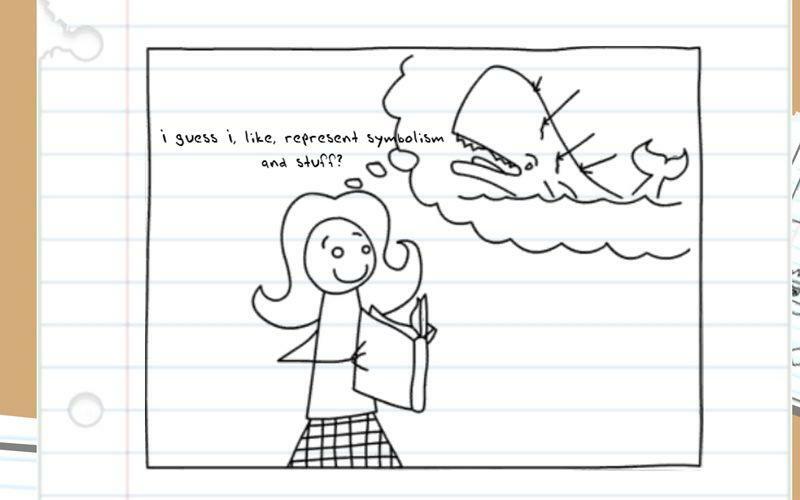 And it’s not that Telltale isn’t capable of that creativity and that meaning, but they likely intuited that those types of puzzles are incongruous with the Strong Bad universe, and that here, in the Homestar Ruiner episode, it would only bottleneck the movement of a whimsical title that’s more about its off-its-rocker humor and goofy-stacked-on-goofy scripting. 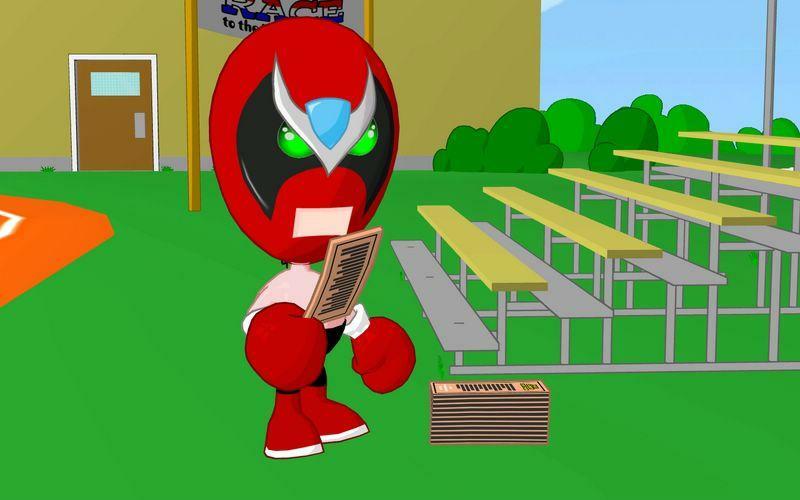 There are a couple mini-games tucked inside of episode 1 that make themselves worth revisiting: the 8-bit Snake Boxer V -- of which, Strong Bad searches far and wide to replace the needlessly-long game manual to a game that features top-down, uh, snake boxing -- and Strong Bad’s own in-episode comic he draws himself, “Teen Girl Squad.” Which is as awkward as it sounds, but eventually makes sense for the often socially-clueless and comically-mischievous Strong Bad. All said and done, Telltale and The Brothers Chaps have accomplished more in this webcomic-to-game release than I thought possible. It runs a bit dense compared to the short-attention-span-theater that informs the weekly dot-com’s efforts, but the game never seeks to overwhelm or smoke out its players. 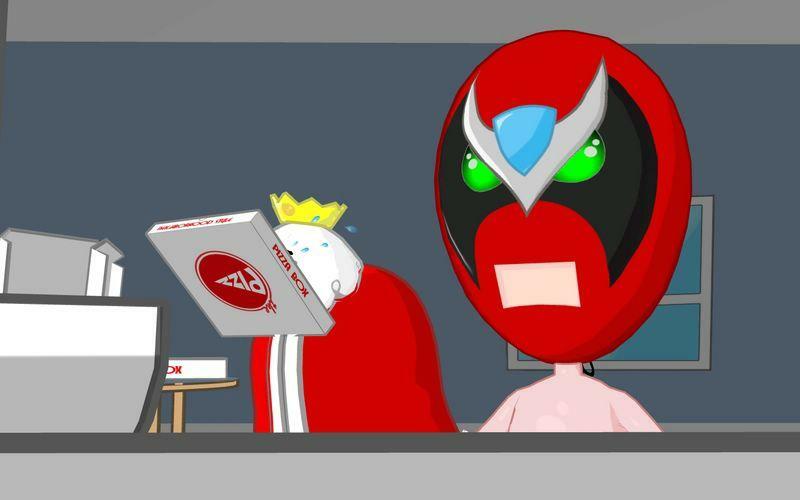 In doing so, it’s told a fuller-length tale than Strong Bad’s average visitor will be used to listening in on, but there’s no arguing that it isn’t faithful to the source material. I wouldn’t categorize this next statement with naysaying, but it’s still not possible to completely shelve all doubts about how much cohesion will dovetail an entire five-episode season of SBCG4AP, though insider joke linkage is inevitable. But they’ve already surprised one reviewer with this first episode. They’re now one for one. 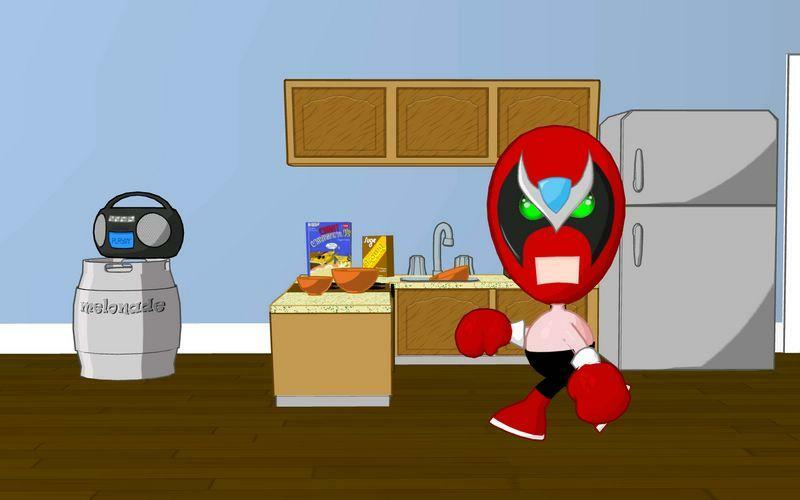 Just as the webcomic itself has done, it’s likely that Strong Bad’s Cool Game will have some hits and misses over the course of this season, all while steadily improving with age and experience. But this is undoubtedly a great start, despite a below average sprinkling of gameplay bottlenecks. It translates remarkably well as an adventure game, but isn’t completely hogtied by adventure game conventions. Bring on episode 2.